Every day you create various search questions from “how to fix a chair” to “funny cats video.” How do you decide what phrase you’re going to search for? Easy, you choose words describing the topic you’re interested in. These words are called keywords. Of course, being interested in search engine optimization for your website, you’ve not only heard of these words but also collected them. Keywords are the basis for effective marketing. They help you to get a higher search ranking, target your audience and discover what exactly your customers are interested in. Unfortunately, selecting all the possible keywords for your website isn’t enough. Many people don’t even know how incorrect keywords can badly influence their search engine ranking. Read this article to avoid the most common mistakes of using keywords. The first thing to consider while collecting keywords is their relevance to your content. Quite simple, isn’t it? Nevertheless, many business owners fail to use relevant keywords for their SEO. It usually happens when a person didn’t set up clear goals. When you’re deciding on your marketing strategy, think of your goals. For example, if you created a travel blog, your goal may be to gain more subscribers. Selecting keywords, you should exclude word combinations with “buy,” “tickets,” “book hotel,” etc. Remember that websites of travel agencies aren’t your search competitors. How do irrelevant keywords influence your search ranking? Keyword research isn’t aimed at finding all the phrases connected with the word best describing your website’s subject. It means you should filter the necessary phrases from the variety of keyphrases that are suggested to you an SEO tool. First of all, pay attention to keywords trends. Very specific words won’t improve your search engine ranking as people tend to use more general words surfing the Internet. Moreover, it’s an excellent opportunity to check whether a product, service or content you promote are in demand. If users don’t look for it, you may need to rethink your concept. 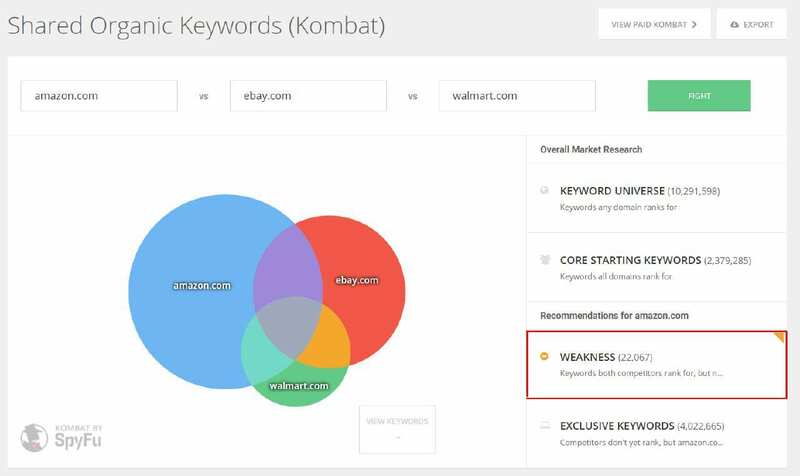 Here’s a complete guide on how to research keywords. These trends can also be different depending on geographical location or season. This data is essential when you want to create relevant and up-to-date content. Use Google Trends to make sure your keywords aren’t too rare. So, you’ve already chosen relevant trending keywords. Isn’t it a ticket to success? To be honest, you’re not even midway to it. The next factor to consider is how difficult it’ll be to rank for your keywords in the top 10. If you’re entering a popular niche, there are big brands already ranking on the first page in search results. As you’re just at the start, you’ve got other important things to worry about. Begin with selecting those keywords with a level of competition not higher than 50. Not considering this parameter you may be struggling for top rankings for years and not seeing improvements. Unfortunately, it’s impossible to estimate this data by yourself. 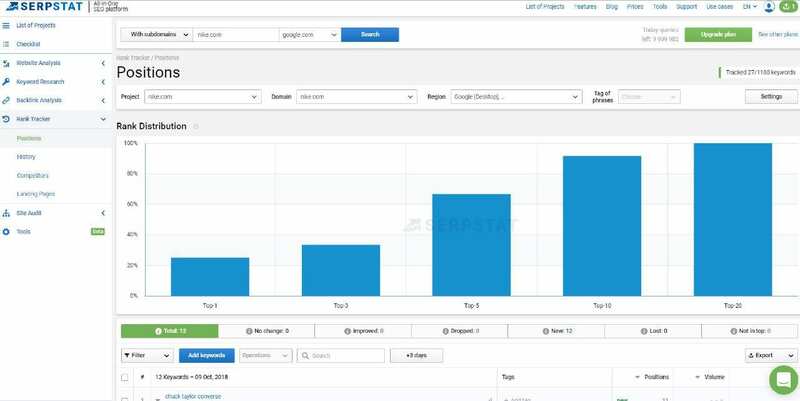 There are SEO tools such as Moz and Serpstat which provide you with keyword difficulty level. Enter a keyword you want to check and pay attention to Difficulty rate. High level of competition. A word like “shoes” returns way more results than “women black Nike shoes.” The shorter the phrase is, the more websites match it. Less conversion. Various businesses may use similar head words even if they set different goals. If I sell cars and my friend creates car reviews on his blog, our common head phrase will be “ford fiesta.” What’s the use of a visitor who hopes to read an interesting article but accidentally comes to your car store? Worse behavioral factors. Short keywords attract more visitors because they’re very broad in meaning. But people who found your website for general words may not be interested in specific information, product, or service. As a result, they’ll leave the site quickly. It increases your bounce rate and decreases your search ranking. Costs. If you use Google Adwords, you know that the cost for a keyword depends on its demand. General words always cost much more than long tail keywords. Some people think the more keywords they insert, the higher their site will be ranked. Have you ever seen texts with repetitions of various word combinations and useless content? It’s keywords stuffing. 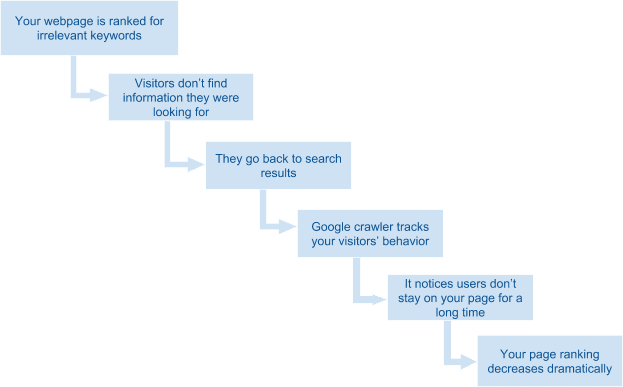 This method worked in the early 2000s, but since then search engine robots have learned how to identify unnatural texts and other tries to “cheat.” Moreover, they not only identify this type of content but also penalize websites for it. Don’t create content for your keywords. Your content should be useful for visitors, but not for search engine robots. Use synonyms. This step helps not only to avoid unnatural repetitions and tautology but also to increase the visibility of your website. So, you’ve collected the most relevant and high-quality keywords. That’s a final lap, isn’t it? It isn’t. Competitive analysis is a crucial step at all SEO stages. It can give you a clue of the words you accidentally omit and of the ways to improve your research. Look at content, snippets, and ads of other market players to see beforehand what works and what doesn’t. 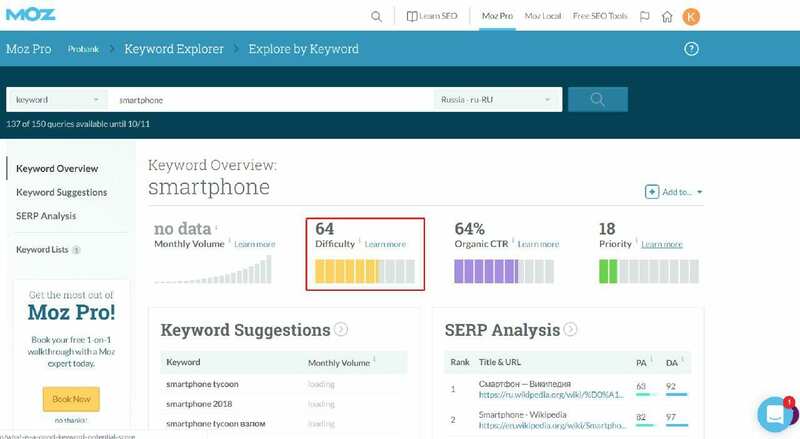 You may also use SEO tools to analyze your keywords compared to those selected by your competitors. SpyFu, SEMrush, and Serpstat cope with this task perfectly. If you use SpyFu, enter your domain > go to Kombat > enter your competitors’ domains > click on WEAKNESS. You’ll see the list of keywords which two of your closest competitors rank for, but your website doesn’t. Not tracking your rankings means you’re not making headway. How can you go further if you’re not aware of your current position? After you’ve optimized your website for the right keywords, it’s time to evaluate whether your efforts weren’t vain. The most obvious result is an increase in sales or number of subscribers. But you won’t witness it that quickly. Use Serpstat Rank Tracker to analyze changes in your ranking. To do it, you should create a project for your domain and add a list of keywords you want to track your ranking for. Here you can see the positions of all the keywords or choose only those which have changed. With the development of search engine robots, the process of keywords selection gets more and more complicated. Fifteen years ago you could hide keywords on the page, use unnatural repetitions of words and it would result in high search engine ranking. Today, your position depends on the relevance of keywords and quality of content you create. To be competitive in search engines, remember all the tips from this article and use them for your SEO. Never forget your target audience are people, not search robots. 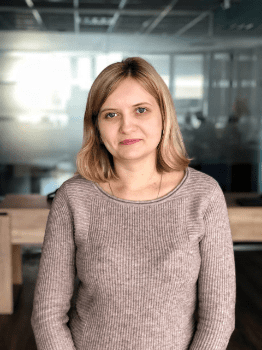 Inna Yatsyna is the Brand and Community Manager at Serpstat, an all-in-one SEO platform. She’s a passionate lover of writing useful posts and helping people. Also, Inna likes reading, traveling and especially dogs. Connect with her on Twitter or LinkedIn. There are roughly 10,400 species of birds on the planet. We specialize in selling “bird food” for about 750 of those species but mostly parrots or psittacine. Thus my writing style is to wrap “keywords” with relevant phrases. If i use “bird food” in a post, within the post I’ll make sure KWs like budgies and ringnecks are sprinkled. I’m betting my bottom dollar google knows (my readers already do) that “bird food” in this case aligns with psittacines and is less likely to present search results with bird food for backyard birds. I am using a popular keyword for which my website is ranking at a position of 66. How much time it will take to come at first page.